Villa Helix is named after the helix shaped stair of the building. 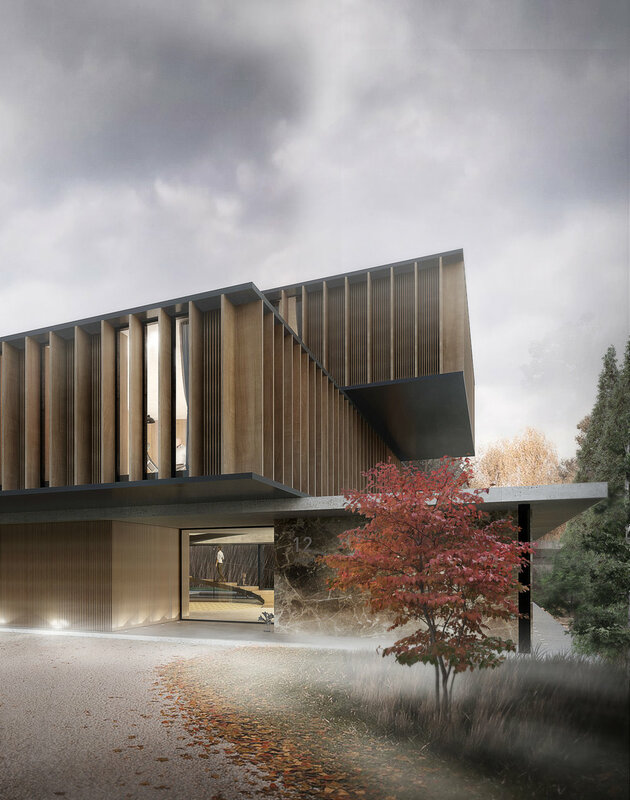 When entering the house from the southwest, the ground floor opens up towards the lake with a generous panoramic view. A sculptural stair leads you all the way up through the house. It spirals around an interior courtyard which provides sunlight and acts as an oasis of vegetation in the center of the building. The stair is the centerpoint from where all functions can be reached. From the exterior, the building has a robust but warm appearance. Each storey is rotated to create generous terraces, giving the house a unique expression. The principal materials used are concrete, stone and wood.